Peru remains a relatively cheap destination for many travelers, especially in terms of day-to-day basics such as food, accommodations, and transportation. The value of money for international travelers, of course, will always be relative to the cost of living in their own countries. One way of comparing two countries monetary values is to look at their respective minimum wages. It’s also a good way to better gauge what is affordable for you as a traveler and how that amount relates to the average Peruvian. According to The New Peruvian, the current minimum wage as of June 2017 in Peru is S/ 850 (Nuevos soles) per month or approximately $261 in U.S. dollars. During the term of former President Ollanta Humala, the minimum wage increased twice, up from S/ 675 to S/ 750 in June 2012, and from S/ 750 to S/ 850 in May 2016. Since 2000 and the presidency of Alberto Fujimori, Peru's minimum wage has more than doubled, rising from S/.410 to the current S/.850 as cited by the Ministerio de Trabajo y Promoción del Empleo: Decreto Supremo No.007-2012-TR (Spanish). Peru's recently installed S/.850 (US $261) per month minimum wage places it reasonably well in the region, above Brazil, Colombia, and Bolivia. Before President Humala's increases, it was previously ranked among the lowest minimum wages in the region. As stated by the United States Department of Labor: Wage and Hour Division, the current US federal minimum wage is $7.25 per hour (effective July 24, 2009), which works out to roughly $1,200 per month for a 40-hour work week. This, of course, is not an accurate depiction of the wages in ​the U.S. due to the individual state laws (for example, California's minimum wage as of 2017 is between $10 and $10.50). The Directgov: The National Minimum Wage rates lists the minimum wage in the United Kingdom as £7.50 per hour ($10.10 in U.S. dollars) for workers aged 25 and over, £7.05 ($9.50) for those aged 21 - 24, £5.60 ($7.54)for 18 - 20-year-olds, and £4.05 ($5.45) for children under 18 years of age. Politically, raising the minimum wage always looks good. But how much does it actually benefit the vast majority of the Peruvian population? 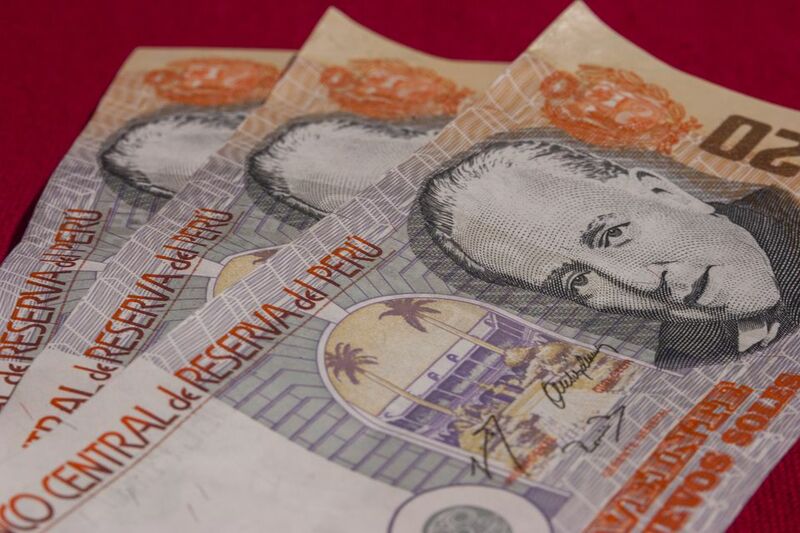 According to human resources expert Ricardo Martínez, only about 300,000 Peruvian workers -- about one percent of the Peruvian workforce -- actually benefit from an increase in the national minimum wage. Small and informal businesses in Peru, which account for most of the businesses in the country, very rarely pay the sueldo mínimo, so a vast number of Peruvians do not see their wages rise alongside an official increase in the minimum wage. It will be interesting to see what the current President of Peru, Pablo Kuczynski, and his administration will do to fix the minimum wage issue, and how it will affect residents and tourists in the next few years.